Gifts to The Fund for Agnes Scott immediately go to our area of greatest need. What exactly that means changes from day-to-day, but all contributions support the college's highest priority to best serve our students. 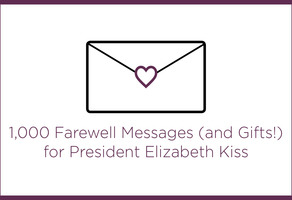 Celebrate the legacy of President Kiss by making a gift in her honor and sign her farewell card! 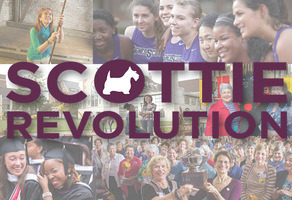 Join the #ScottieRevolution and empower young Scotties ready to change the world. Help us reach our goal of 200 donors by June 30! 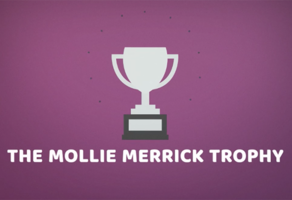 Help your class win the 2018 Mollie Merrick challenge! Show your passion for Agnes Scott this #GivingTuesday (Nov. 27) and have a chance to win swag and compete in giving challenges! Which class has will claim a trophy on Alumnae Weekend? Let the 20th annual Mollie Merrick Young Alumnae Class competition begin! Honor the legacy of President Kiss with a gift to the Elizabeth Kiss SUMMIT Directorship, and take advantage of a 2:1 challenge match! ASC Class of 2018, it's time to step up, give back, and honor President Kiss's leadership! Connect with other Scotties on GiveCampus!